Find here Smoko coupons, deals and vouchers. 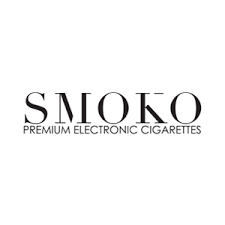 SMOKO is a premium electronic cigarette company, SMOKO produce electronic cigarettes with a fantastic range of flavours but most importantly their liquids (flavours) are all made in the UK to the highest pharmaceutical grade. This gives SMOKO products a clean and superior taste to many other brands using Chinese liquids. Propylene Glycol – is used in cake mixes, salad dressings, soft drinks, popcorn, fat-free ice cream and sour cream. Nicotine – the only reason why we smoke! The savings calculator on www.smoko.com can also show you just how much you will save factoring the price of cigarettes and how much you smoke per day.